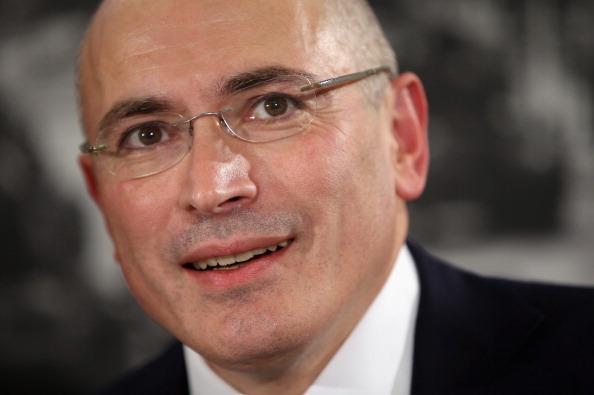 Mikhail Khodorkovsky was charged with embezzlement and tax evasion. He spent 10 years in prison until his unexpected pardon by Russian President Vladimir Putin (Photo Credit by Sean Gallup/Getty Images). Amnesty International is happy to share the great news of the release of Mikhail Khodorkovsky, Russia’s most prominent political prisoner who spent over 10 years behind bars. On December 19, 2013, Russian President Vladimir Putin unexpectedly announced at the annual news conference that he decided to pardon Mikhail Khodorkovsky after he received a petition from Khodorkovsky asking to be pardoned due to family reasons. Shortly after, Khodorkovsky was released from a prison colony in the Karelia region of northwestern Russia and immediately flown to Germany. In his First Statement in Freedom, Khodorkovsky thanked everyone for the support provided to him, his family and all those who were unjustly convicted and continue to be persecuted. “I am constantly thinking of those who continue to remain imprisoned,” said Khodorkovsky in his statement. Khodorkovsky thanked everyone for the support provided to him, his family and all those who were unjustly convicted and continue to be persecuted. Mikhail Khodorkovsky and his business partner Platon Lebedev, who remains incarcerated, were arrested in 2003, convicted of fraud and tax evasion and sentenced to nine years in prison. The persecution was broadly recognized as politically motivated. In 2007, new charges were brought against Khodorkovsky and Lebedev for embezzlement. The second conviction of both men provoked strong international criticism of Russian authorities for violating the human right to a fair trial. In 2011, Amnesty International declared Mikhail Khodorkovsky and Platon Lebedev Prisoners of Conscience. Amnesty International organized and participated in various solidarity events, demonstrations, concerts, and round tables along with other NGOs such as Memorial Germany, Reporters Without Borders Germany, Osteuropa magazine, Russie-Libertés, the International Federation of Human Rights, and many other organizations. This fall, on the ten year anniversary of their arrests, AIUSA hosted a forum on their arrests’ implications for the rule of law and human rights in Russia, continuing our call for their unconditional release. An important way of showing support for Mikhail Khodorkovsky and Platon Lebedev was sending them personal letters and cards by Amnesty International activists to the place of their imprisonment so that they would know that they are constantly thought about by an international community of supporters. Amnesty International also organized online petitions calling for the unconditional release of Mikhail Khodorkovsky and Platon Lebedev. While in prison, Mikhail Khodorkovsky has become a vocal critic of the Kremlin and published many articles and open letters calling for a strong civil society in Russia. His thoughts and opinions are highly respected by the Russian opposition. For several years now, the International Historical and Human Rights Society Memorial has held the annual conference “Khodorkovsky Readings” dedicated to human rights issues in Russia. Many people in Russia and all over the world have received the news of Khodorkovsky’s release with great happiness and relief. Amnesty International expresses its best wishes to Mikhail Khodorkovsky and his family who can once again experience the joy of freedom and being together after ten long years of separation and uncertainty. This entry was posted in Amnesty Members, Business and Human Rights, Censorship and Free Speech, Europe, International Justice, Prisoners and People at Risk and tagged Amnesty Members, Business and Human Rights, censorship and free speech, detention and imprisonment, individuals at risk, international justice, prisoner of conscience, prisoners and people at risk, russia by Guest Writer. Bookmark the permalink. VICTORY! 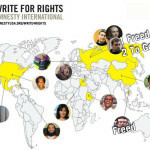 : Russian Prisoner of Conscience Freed As Write For Rights 2013 Reaches 1.4 Million Actions!